As a mother, she was concerned. A little uncertain. But trying her best to be supportive. She was a lot like many parents who find themselves raising children who identify as trans or gender non-conforming. So that’s when—back in 2008—she contacted COLAGE, a non-profit support group for LGBTQ parents and their children, which put her in contact with Kuvalanka, an associate professor of family science and social work in Miami University’s College of Education, Health and Society (EHS). This mother only wanted to know how to best help her child. And as issues surrounding trans and gender non-conforming children and their families continue to gain more attention, stories like this are becoming less uncommon. Across the country, this issue is now being raised in schools and debated by policy makers on multiple levels. But this growing awareness has not yet broken down many of the cultural barriers and stigmas that still exit. Nor has it resolved many of the complexities and uncertainties that some families still face. 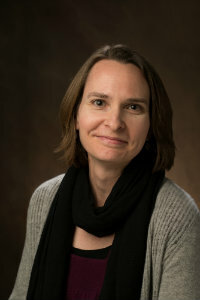 But according to new research, including a study by Kuvalanka, and her colleagues at Clark University and Northrop Grumman, a more optimistic story is starting to emerge, especially for those who want help these children thrive. And the bottom line is this: If parents and families want to boost these children’s chances of living happier and emotionally healthier lives, then affirming and supporting their gender identities and expressions—sometimes by allowing children to socially transition—is essential. Leading up to her study, Kuvalanka conducted ongoing interviews with gender affirming parents across the country. At the time, their children were aged between 6 and 12 years old and most had already socially transitioned. That is, most were clearly “cross-gender identified” or “binary trans” and were living as their asserted gender. Kate Kuvalanka But a few did not clearly express cross-gender identities. Some seemed to hold non-binary or gender-nonconforming gender identities, which meant, for example, that they might say that they were “part girl and part boy” or that they wished they were a boy, but stopped short of saying that they actually were a boy. And it’s this detail that sets Kuvalanka’s research apart from one of the only other studies of this kind, which is being conducted by University of Washington psychologists who are following more than 70 families with binary trans children, all of whom have socially transitioned with the assistance of their affirming parents. 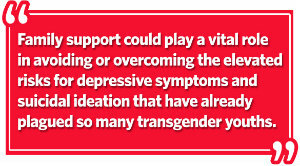 This research is helping us understand that family support could play a vital role in avoiding or overcoming the elevated risks for depressive symptoms and suicidal ideation that have already plagued so many transgender youths. Overall, this is important news for parents and families questioning whether or not to affirm a socially transitioning child’s identity. But there are more questions that still remain. Considering the attention this issue has recently received, it is understandable that some parents might be uncertain, confused, anxious, hesitant, or all of the above. After all, how young is too young? When is the right time to be affirming and supportive? Or, what if, in an honest attempt to be affirming, a parent fears incorrectly encouraging their child one way or another? And so on. Of course, no two situations are the same. But, first of all, according to Kuvalanka, support is never a wrong way to go. And it’s important to know that coming to realize a child is transgender usually stems from a long process that reveals itself over time. There is a big difference between, for example, a child who was assigned male at birth and who plays dress up once or twice. And another who repeatedly insists that the parents have it wrong, that they actually are a girl. Secondly, affirmation is not the same as encouragement. And while there might be some nuanced overlap between these two concepts, there is also a discernable difference between actively pushing a child down one path or another and being fully present, genuinely listening to a child, and letting the child be the guide. This is especially true for younger children. For those younger than 8 or 9 years old, there’s time before the physical changes of puberty begin to try and understand the extent of what’s happening. But parents of older children might be more pressed, and it can be a struggle if they are caught off guard. 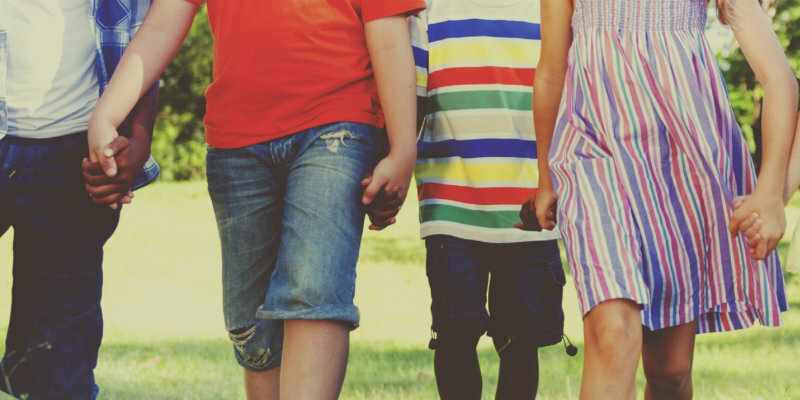 But even in these more extreme situations, what many parents generally find once they do get onboard does align with the new research – that that affirmation and acceptance can lead to improved wellbeing. And the positive transformations can be dramatic. In a recent research paper, Kuvalanka notes how numerous mothers described “striking changes” in their children that went beyond just the expression of gender alone. And it’s not just families either. There are reports of therapists, physicians, and teachers who have also witnessed similar changes. It is as if, she says, they are finally free. And that’s when parents know.